Tom Harris Accurately Describes the Gov’t’s Behavior, Re: Climate Agenda! Perhaps most insidious was ‘duckspeak,’ a form of speech consisting entirely of words and phrases sanctioned by the party, language that conveyed politically correct messaging only. Someone who had mastered duckspeak could fire off ideologically pure assertions like bullets from a machine gun without thinking at all. Their words merely emanated from the larynx like the quacking of a duck. Being called a ‘duckspeaker’ was considered a sincere compliment since it indicated that you were well-versed in the official language and views of the state. More than ever before, we are now in an era of climate change duckspeak. Rather than being merely ridiculous or social satire, the apparent underlying purpose of climate duckspeak is ominous: to convince opinion leaders and the public to think about climate change only as the government wants. To consider alternative points of view is ‘climate change denial,’ today’s version of thoughtcrime, punishable by excommunication from responsible citizenry. If AGs United for Clean Power, a coalition of sixteen Democratic state Attorneys General (AG), has their way, speaking out on the other side of the climate debate could soon result in civil or criminal charges. But, as Carleton University Earth Sciences Professor Tim Patterson points out, “Climate is and always has been variable. The only constant about climate is change; it changes continually.” So Obama’s claim, and that of other opinion leaders who say the same, appears to be a self-evident, but trivial, truth like ‘sunrise is real’. But it is much more than that. Intentionally or otherwise, the President is using a strategy right out of Nineteen Eighty-Four. His statements imply that experts have concluded that unusual climatic events are happening, and that government must save us. Referring to greenhouse gases (GHG) as “carbon pollution,” as the White House does twelve times on their climate change Web page, is pure duckspeak. This conjures up subconscious images of dark and dangerous emissions of soot, which really is carbon. What Obama and others are actually referring to is carbon dioxide (CO2). But were they to call it that, most people would be unconcerned, remembering from grade school that the trace gas is essential for plant photosynthesis. So climate campaigners mislabel it ‘carbon’ to frighten the public and to discourage further thinking, closely following ‘Big Brother’s’ strategy in Orwell’s classic. Similarly, referring to low CO2 emitting energy sources as clean or green is a mistake since the gas is in no way unclean. But the label promotes an image of environmental wholesomeness, hiding the true ineffective and damaging nature of many alternative energy sources. Finally, the “97% of experts agree” phrase is, using Oceania’s vernacular, ‘doubleplusgood’ duckspeak, designed to suppress debate and boost the party line. After all, who would dare contest experts about such a complicated issue? But ‘appeal to authority,’ and ‘appeal to consensus’ are logical fallacies that prove nothing about nature. And, even if such surveys were taken seriously, one would have to ask: Do these experts study the causes of climate change? What did they agree to? In fact, none of the surveys that are used to back up the consensus argument are convincing. They either asked the wrong questions, asked the wrong people, or polled mostly those who would obviously agree with the government’s position. Independent reports such as those of the Nongovernmental International Panel on Climate Change show that the science is highly immature with wide-ranging opinions about the future of climate change. 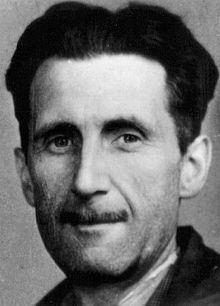 It is not surprising, then, that language tricks like Orwell’s duckspeak are being used to justify the unjustifiable in the war of words over global warming. Faux-green crowd making a Killing from Carbon/Climate Scams! Not all CO2 emitted by people stays in the atmosphere. Much of it returns to the earth, mainly through the carbon absorption and sequestration power of plants, soil, and trees. Backlash Against the “Climate Change Scam”! Mr. Rubio’s muscular response revealed how toxic the issue of climate change has become in the Republican Party under President Barack Obama, who has sought to make reducing carbon emissions to alleviate global warming one of his signature accomplishments. Until 2008, many Republicans, including then-presidential nominee John McCain, supported cap-and-trade to address climate change. Once Mr. Obama won the White House, Republicans swiftly unified against nearly all of his initiatives, including a cap-and-trade bill that would have set limits on carbon emissions and allowed companies to trade pollution credits to comply. As I’ve said before, having GOP candidates compete on this changes everything. The shift that occurred in the US in 2015 was big. There is an opportunity for sensible people all over the world to pick up this momentum and run with it. GREENPEACE….Sworn enemy of all life on earth! December 8th, 2015 by Roy W. Spencer, Ph. D.
Here is the article I was referring to in today’s post, Whose Supported Policies Kill More People: ISIS…or Greenpeace? It is by Dr. Patrick Moore. Greenpeace appears to have subjected Dr. Will Happer, Cyrus Fogg Brackett Professor of Physics at Princeton University, to a maladroit attempt at entrapment that has badly backfired on it.